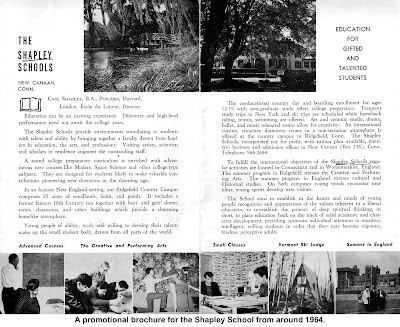 Of the many private schools that operated in Ridgefield during the 20th Century, none was quite like the Shapley School. It was a place where wealthy families sent gifted but sometimes undirected children to a estate-like environment that featured tiny classes, sophisticated courses and nightly dinners by candlelight. 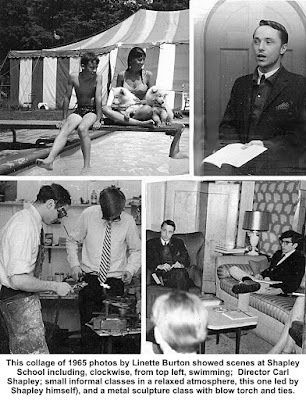 Founded by Carl and Virginia Shapley, the sixth-through-12th grade school operated from 1962 until 1967 on the 26-acre grounds of the old Outpost Inn — now Fox Hill condominiums. However, its small size and large overhead doomed the operation. And the news that undercover police found students using drugs did not help efforts to rescue the school. brother was 2012 Nobel Prize-winning economist Lloyd Shapley. 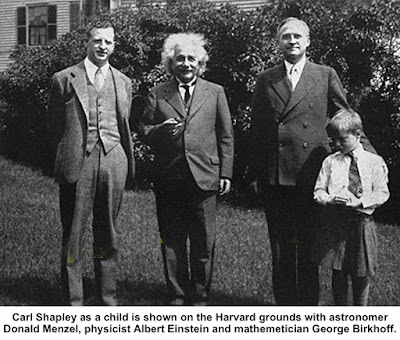 Shapley grew up in the intellectual atmosphere of Cambridge where his family’s friends included the likes of Albert Einstein. 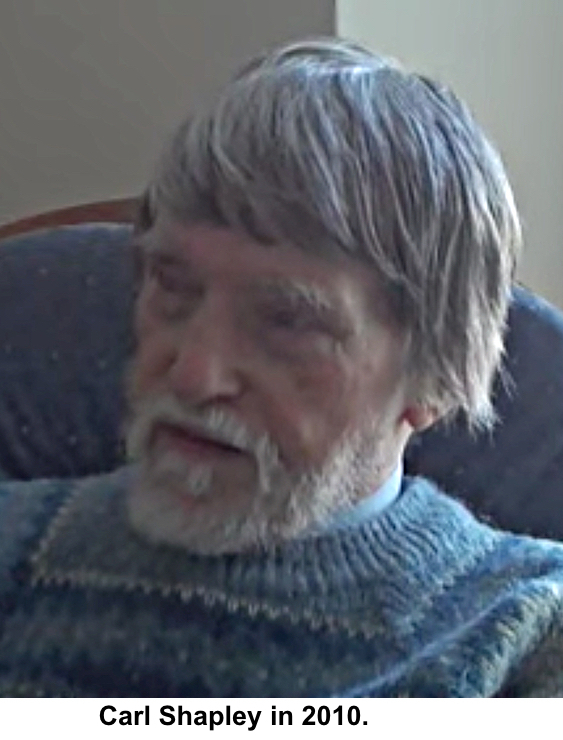 He attended private schools in Cambridge and in Litchfield, Conn., and studied at Harvard and at Principia, a Christian Science college near St. Louis. Considered a gifted musician, he studied in Paris and Vienna before the war for a career as a conductor. However, he wound up after the war working with the National Gallery of Art on identifying and cataloguing rescued works of art that had been stolen by the Nazis. After more studies in Europe, including at the Louvre, he turned to teaching, and was an instructor at private schools in Connecticut before establishing The Shapley School with help of wife, Virginia Thayer Shapley, who had been a big-band singer in the 1940s. Mrs. Shapley’s grandmother was one of the founders of Sweet Briar College in Virginia and her mother was the very first student there. offices were. 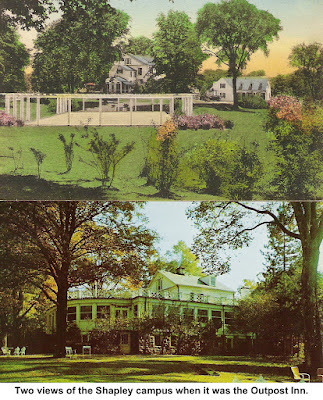 In 1963 they leased and soon purchased the recently closed Outpost Inn on Danbury Road in Ridgefield to establish their campus. A student to teacher ratio of 4 to 1. Availability of instruction in Greek, Latin, French, Chinese, Italian, Russian, Spanish, and German from seventh grade on. Courses in space biology, Greek philosophy and drama, geology, Far Eastern history, classical ballet, play production, piano composition, and many other subjects ordinarily found at college level. Students also took Bible classes. Dinner each night by candlelight in what was once the dining room of an inn where celebrities like Eleanor Roosevelt were served. A manor in England, ski lodge in Vermont, and a campus in Florence where students could spend vacations or summers in special learning and/or recreation programs. Shapley field trips included two weeks in Greece. will produce,” Shapley said in a 1965 interview with the Ridgefield Press. With a total enrollment that never exceeded 52 students spread over six grades, Shapley School had to charge a relatively high $3,000-a-year tuition — equivalent to about $27,000 today. By 1966, the school was struggling to pay not only its staff of 15 people, but its mortgage. The school also had to deal with a serious public relations blow. On Dec. 5, 1966, while Carl Shapley was conducting a Bible class, 15 policemen descended on the campus in a drug raid, and wound up arresting two 17-year-old juniors for possessing marijuana and alleged amphetamines. The raid, which made headlines in many newspapers, was the result of an undercover investigation in which at least one especially youthful-looking police officer was posing as a student. Desperate efforts were underway in the spring of 1967 to save the school — Shapley promised it would open in September. But despite an April fundraising art show and sale that featured works by Picasso, Utrillo and Chagall, the school continued to fall behind in its mortgage payments. A court approved a foreclosure sale at which the high bidder was David Paul, who went on to build Fox Hill condos. Paul, who was building Casagmo at the time, offered $146,500 ($1,093,000 today), far less than the $200,000 ($1.5 million) Shapley said the property was worth. After the Ridgefield campus closed, the Shapley Schools International maintained a school in Florence for eight years. The Shapleys then taught and traveled extensively, including in the United Kingdom, India, Greece, and Russia. Carl Shapley promoted the New World Educational Foundation, which he helped found, and was also a fellow of Royal Society of Arts in England. In 2005, Virginia Shapley moved to Ridgefield where, in her 80s, she became involved in the community. “Even at 85, she was amazingly energetic, taking an active role in her new ‘hometown’ — from participating in peace walks to being an administrative assistant for life-enhancing techniques presentations to members of Founders Hall,” said her daughter, Judith Watkins of Hamilton, Mont. Virginia Shapley died in 2007. In 2012 he died at age 84 in Chisinau, Moldova, part of the former Soviet Union, where he is buried. When the infamous drug raid occurred in 1966, most Shapley students were saddened at the harm it did to their school’s reputation. Several suggested that marijuana use was “more prevalent at the more placid-seeming Ridgefield High School,” one New York City newspaper reported.